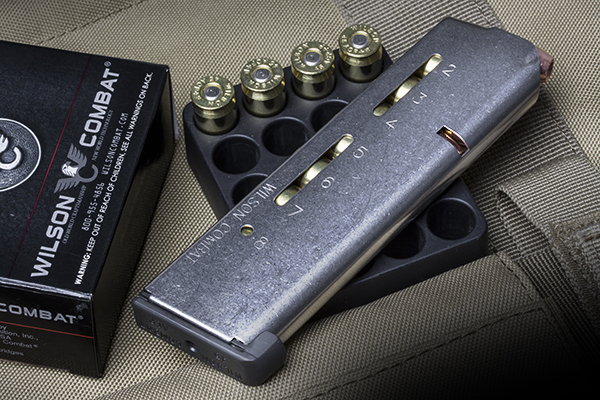 ETM Heavy Duty/+P rated .45 ACP magazines with Wilson Combat exclusive stainless flatwire MAX magazine spring and our time-tested stainless steel ETM tube. The heat-treated MAX flatwire construction never gets stressed or over-compressed like a conventional spring and is guaranteed tonever require replacement even after high round counts or daily, extreme duty use. 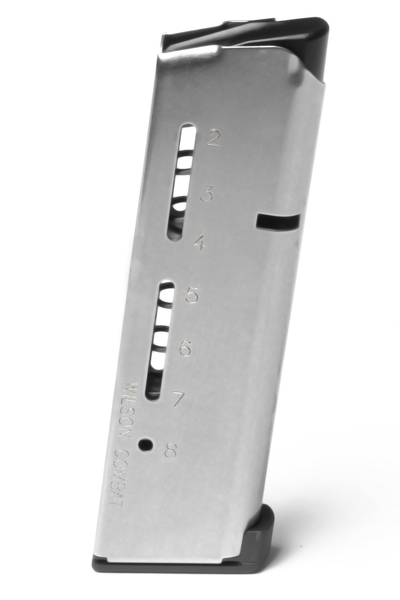 Maximum corrosion resistance-heat treated stainless MAX spring wont corrode in high humidity or marine environments-a leading cause of service pistol spring fatigue. 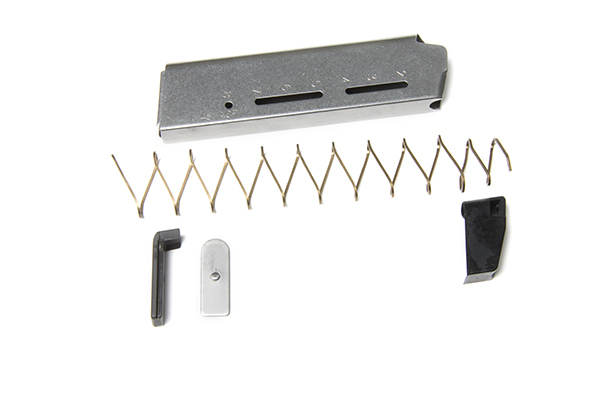 HD Flat Spring Mags 45 acp.. 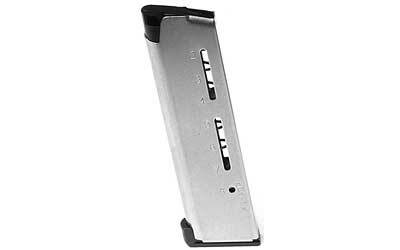 I bought about 15 of these mags and have shot a lot of +P 45acp rounds through them. They function perfectly. 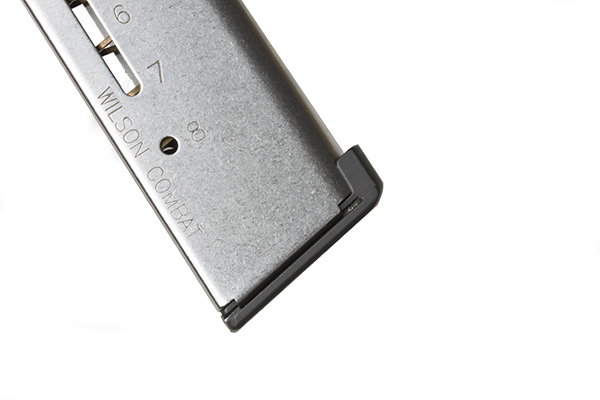 Now Wilson needs to put the flat springs in the 10 round mags. 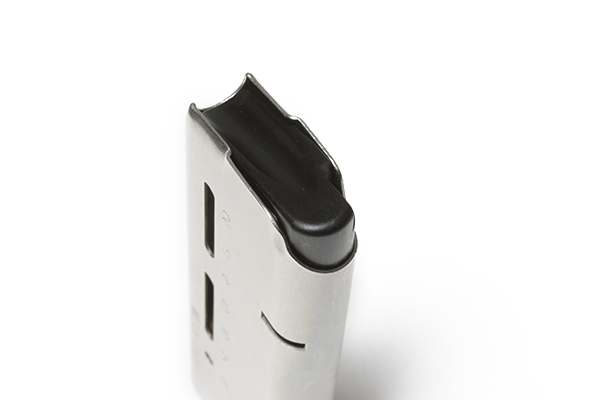 The flat spring mags are a must if you shoot +p loads and a must for total reliability. Brilliant idea Wilson. The best 1911 magazine in the market!.. 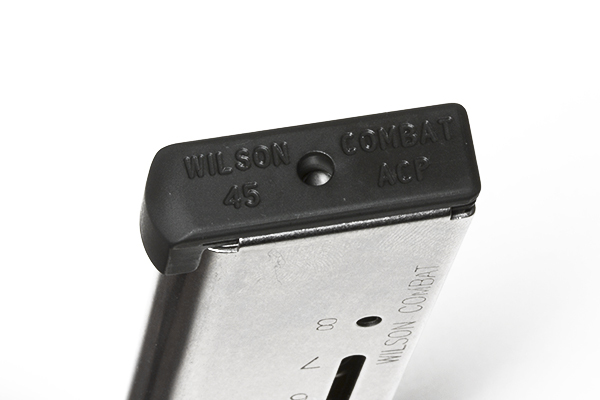 I bought 2 of these new magazine offering from Wilson Combat with the flat spring for my Ruger 1911 and fired 200 rounds and fed flawlessly without any problems. 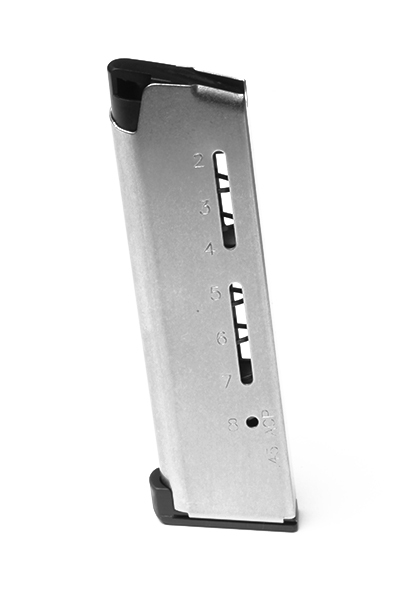 1911 gun owners try this mag and you will be one satisfied owner of this one of a kind magazine. Bought one to try it out . 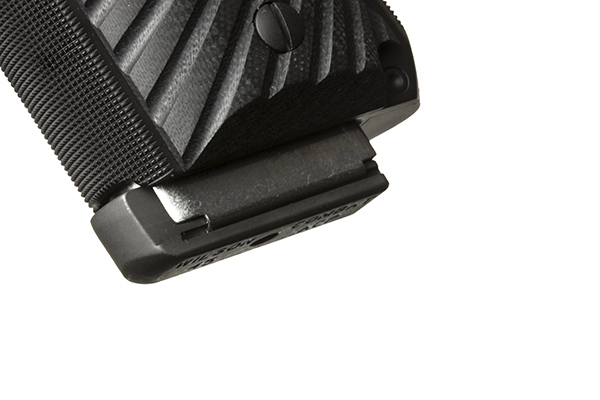 Lockup improved on my trp and its heavy duty . Its wilson itll work in any 1911! TOP NOTCH SPRING STRONGER THAN OEM..